I was just minding my own business; walking the floor at this summer's CHA when this collection by We R Memory Keepers first caught my eye. I literally squealed with delight. This was probably a bit scary for all the people in my general vicinity, but they just don't understand... I couldn't help myself. Halloween is my very favorite holiday/time of the year and this adorable collection is just my style... not too spooky but not too sweet. I am sure you can imagine my joy when I opened up a box of these goodies. It was better than receiving a bag of chocolate treats. Seriously. 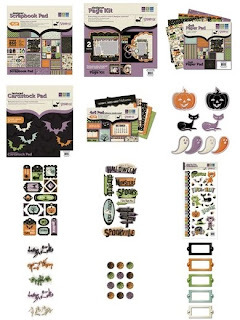 This too-cute-to-spook collection is chock full of the cutest papers, die-cut papers, embellishments, stamps, and even matching cardstock! -The large selection of matching embellishments make this a collection that can be stretched into countless projects. 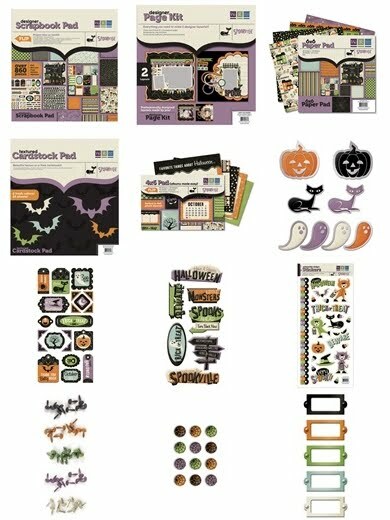 -That haunted house paper is just too cool!! Its even foiled! 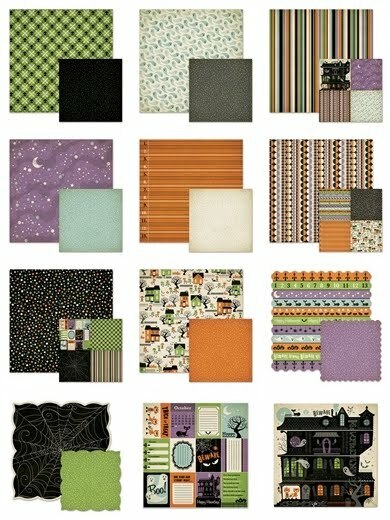 - I love the scaled down patterns for the 6x6 pad. They are perfect for card making and using your punches. -The embossed stickers are not quite as sticky as I would prefer them to be. But that's an easy fix. Bottom Line: Plain and simple...I love this collection. What do YOU think? 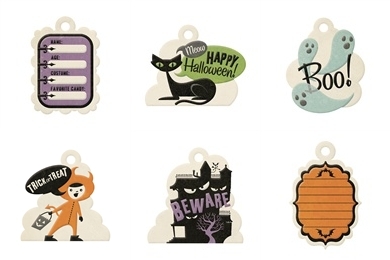 Are you a Halloween scrapper? Is this collection your style?or no? Do you already have it and love it? We want to know! I love this collection. Not too spooky so it'd be great for kids! I fell over myself when I saw this collection in my LSS. I just had to have it in my crafty corner. It is perfect for all age groups. This line look super cool and the projects you made with them are adorable!!! 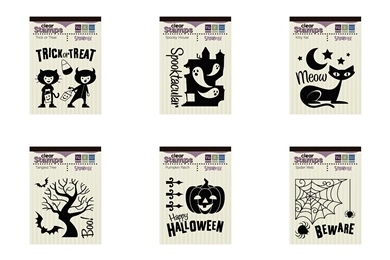 I love a good Halloween paper collection.